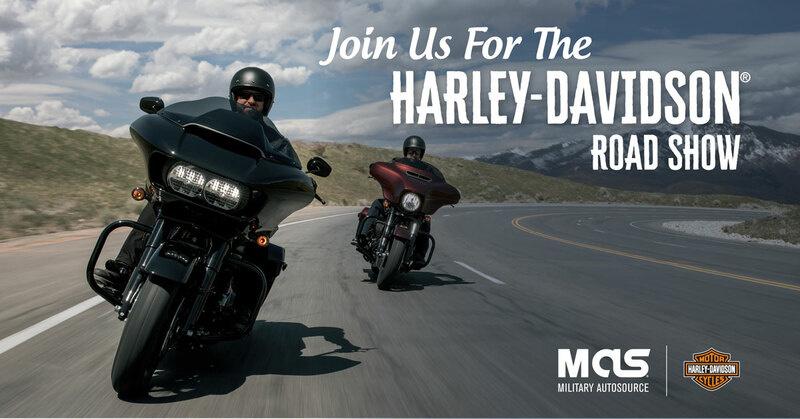 Join us at our Harley-Davidson road show, coming to an on-base MAS location near you! The Harley-Davidson road show started April 3rd and continues into May and June! The roadshow visits on-base locations in the United Kingdom, Belgium, Germany and Italy at select on base Military AutoSource locations. Explore our Harley-Davidson Roadshow schedule below.